We’re excited for Week 5 of our Once Upon A Time C2C CAL! We’ve worked hard to design a project you will love! These appliques are designed to be sewn on the blanket in any location you choose. They bring tidbits from the show along with adding some dimension to the overall graphgan. 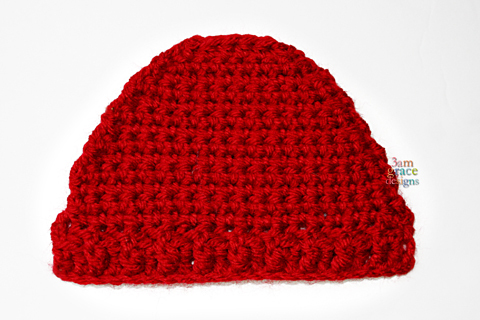 Our first crochet applique pattern is Smee’s red beanie. William Smee is the first person to cross the border and keep his Enchanted Forest memories. His red beanie was a gift from his grandmother. 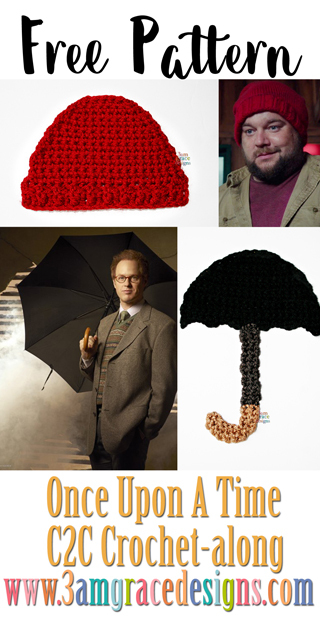 The second crochet applique pattern is Jiminy Cricket’s umbrella. Like his counterpart, Archie regularly carries an umbrella, which he considers his “good luck charm”. We hope you enjoy our first crochet appliques! We’d love for you share your progress and enthusiasm in our Facebook group! If you’re not a member already, join us with the link below today! 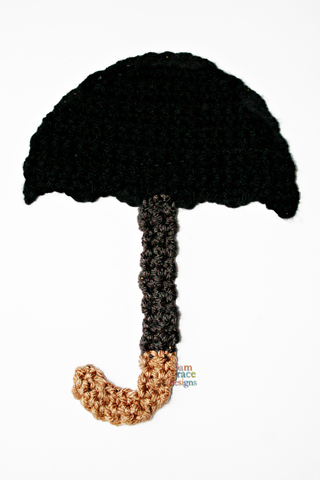 * Center Umbrella Handle on Umbrella Body and whip stitch together.